The Locard Vert apple, as grown by Salt Spring Apple Company. Locard Vert is a respected French cider apple that’s little known in North America but has lots to offer a cider blend. We could find little information about Locard Vert online, even in French. This despite the fact that this heritage cider variety has a good reputation in cider and continues to be grown and used for that purpose in the Brittany region of France. Luckily for us, this is a variety that’s grown by some cider enthusiasts in British Columbia, which allowed us to get our hands on Locard Vert wood with which to graft. Derek Bisset, a stalwart home grower and cidermaker in B.C. has sung the praises of this variety, which adds useful acid as well as other positive attributes to cider blends. We’re happy to have it in our orchard. Discovered in Brittany, France, sometime before the 20th century. Adds acidity and good flavour to a cider blend. 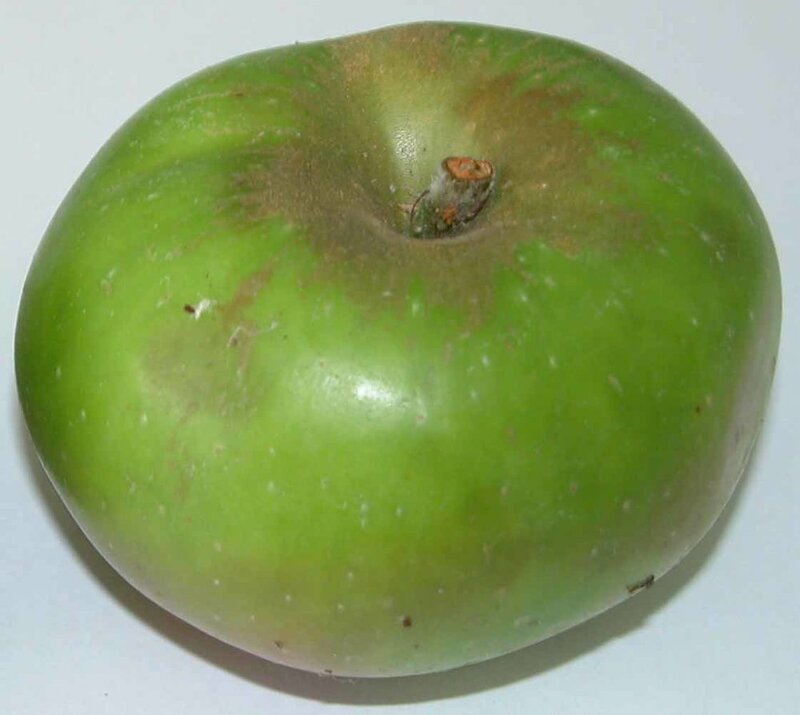 A flattish, green apple with some russeting. Mid-late season (usually in late September). Save this one for cider. So-so (you can let it 'sweat' for a while, but no need to wait long).